Ric and I have spent the last couple of weeks getting settled in our new apartment. We are now officially residents of the northwest suburbs, which is kind of weird. It’s so different from the city. Sidewalks are a rare sight, which makes walking anywhere difficult. And Ric was used to biking to work every day, which is now much more difficult. These roads were not made to accommodate bikers. But, there are some lovely aspects of the ‘burbs as well. 1. It’s quiet. Like, really quiet. In the city, we would hear ambulances/police/fire trucks about every 5 minutes. I think maybe I’ve heard one in the two weeks we’ve lived here. It’s awesome. 2. We live right next to a big forest preserve, which is beautiful. Yesterday we biked about 6 miles of it, and it was so nice. I often felt claustrophobic in the city… I just need some nature in my life. And now I have it, right across the street. 3. We have a balcony at our new place, which we both love. It’s so nice to sit out there, and read or eat and enjoy the sunshine. 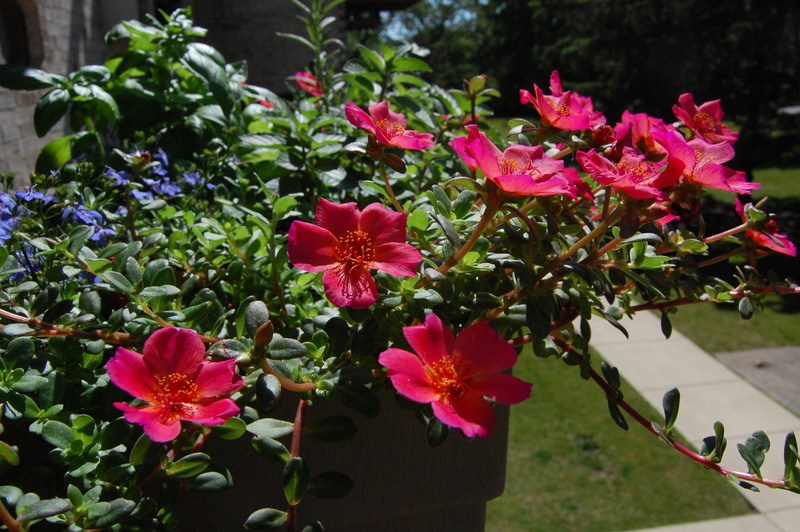 One of the things we both really want one day is a garden, and while that’s not quite possible here, we made our own little garden with a balcony planter. Isn’t it pretty? These little flowers make me so happy every time I look at them. 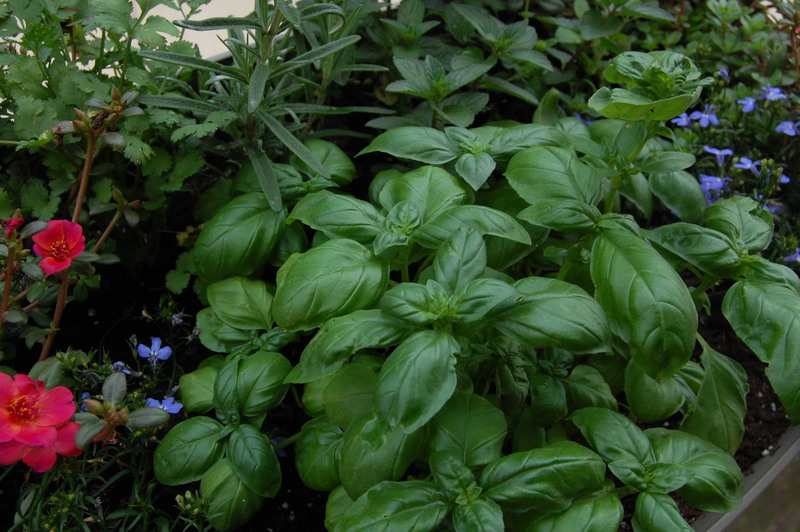 In addition to the two kinds of flowers you see, we also planted basil, rosemary, cilantro, mint, and oregano. Yay! Our little basil plant is thriving. I love basil so much. I could use it in everything. One of my favorite summer recipes is caprese salad: tomato, basil, fresh mozzarella, and a drizzle of olive oil & balsamic. Yesterday Ric and I went to the farmers market and stocked up on tons of fresh veggies and fruits. We had some tomatoes and portobello mushrooms, so I decided to make a caprese salad with a twist. 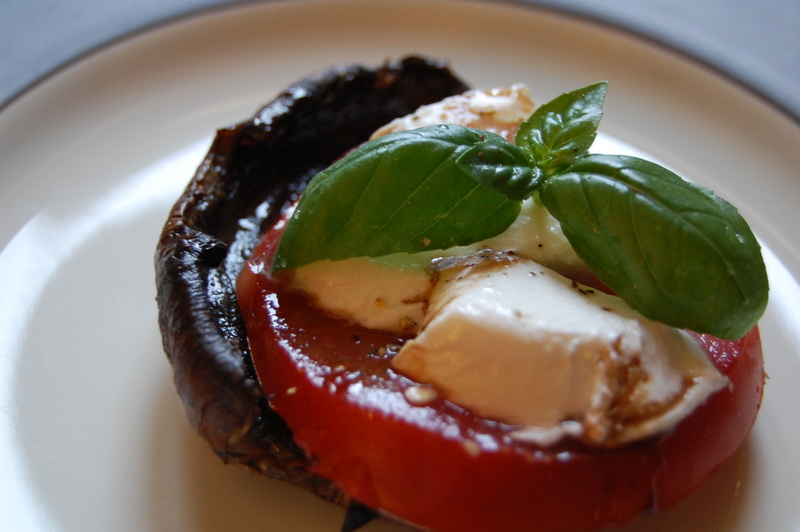 I give you portobello caprese salad. You’re welcome. 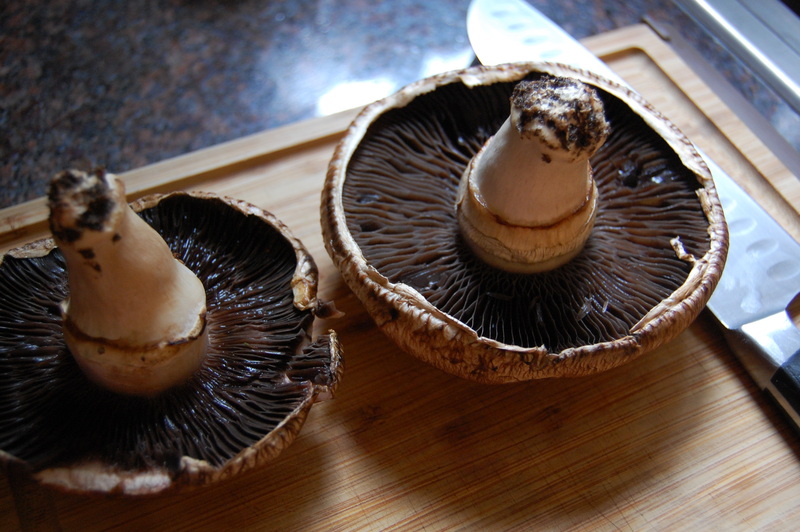 Preheat your oven to 350°, then get your mushrooms cleaned. Run them under the faucet making sure to clean off any dirt. 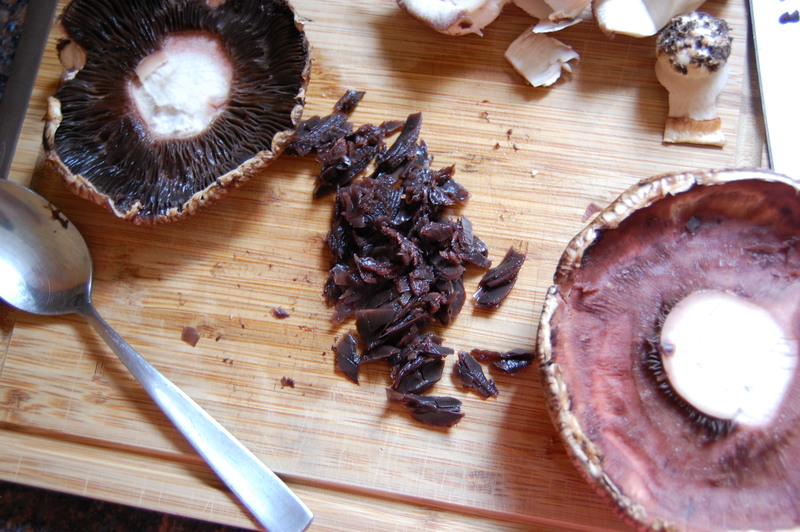 Now cut off the stems, take a spoon and scrape out the gills. You can skip this step if you want, but I would recommend it. Sometimes there might be dirt hiding in the gills, and you don’t want your salad to be gritty. This is a pretty quick and easy step. Drizzle a little bit of olive oil on both sides of the mushrooms. Place them on a pan with aluminum foil and bake for 15-20 minutes. I pulled the sides of the foil up over the mushrooms to make a little tent so they didn’t get burnt. Once your mushrooms are done, put a slice of tomato on each, a fat slice of mozzarella, a sprig of basil, and drizzle with a little bit of olive oil and balsamic. Season with freshly ground black pepper. Enjoy this yummy summertime treat!